Regarded without question as the go-to vehicle for all-terrain excitement and adventure, the 2019 Jeep Wrangler has well established its reputation as one of the most capable SUVs on today's market. It's immediately recognized as a piece of American history and style thanks to its decades of well-tested use, ever-looking to refine its engineering to be an all conquering vessel across anything you deem a road. Every Wrangler comes Trail Rated and ready to take on nature's steepest trails, traversing over mountains and through waterways of up to 30 inches deep! Jeep invites you to journey virtually anywhere with the recently redesigned Wrangler JL. What are my powertrain options? Both two door Wranglers and four-door Wrangler Unlimiteds come with the reliable, powerful, and efficient 3.6-liter six-cylinder Pentastar engine that's been equipped into 8.6 million vehicles since its conception in 2010. Cruising, climbing, and trailblazing is made easy with 285 hp and 260 lb-ft of torque to carry this vehicle forward with up to an 84:1 crawl ratio. It comes with an EPA rating of 17/25 mpg, and standard Engine Stop-Start technology helps conserve fuel while you're at a full idling stop. There's choice of either a six-speed manual or an eight-speed automatic transmission. Optional on all trims is a more urban-friendly, sport-driven turbopowered 2.0-liter four-cylinder paired only with the eight-speed automatic transmission, getting 23/25 mpg and a comparable 268 horsepower, 295 lb-ft of torque powerset. Thus, both engines can tow up to 3,500 pounds. The greater torque value for the four-cylinder helps with low-gear rpm for smoother shifts and a boost in acceleration launch performances. How does Jeep specialize the Wrangler's off-roading performance? Every Wrangler is built to go off-road and be the perfect vessel for exploration! All come four-wheel drive with Jeep's Command-Trac part-time two-speed transfer case or Selec-Trac full-time two-speed transfer case. When equipped with the eight-speed automatic transmission, these systems are calibrated specifically to optimize low- and high-gear shift points to deliver the best torque range to all four wheels. The Rubicon is the height of potential adventure, giving you the one of a kind Rock-Trac two-speed transfer case with a 4:1 low-gear torque range, electronic locking differentials both front and rear, and a disconnecting front sway bar for the ultimate articulation while out on the most uneven terrains. Every Wrangler is equipped with front and rear tow hooks in Jeep's signature bright red paint. Protecting the underbelly of the vehicle are high-strength steel skidplates and skidbar. Steel bumpers, rock rails, and 33-inch tall, 11-inch wide off-roading tires are specially equipped to the Rubicon, as well. What features enhance the 2019 Wrangler's looks? The DNA of the Wrangler gets some modern day input that lends to a sense of sophistication for its iconic boxed design. Edges are buffed out for some rounded aerodynamics while still preserving the seven keystone grille, pronounced wheel flares, round headlights, and square taillamps. The freedom of the open air experience has been made easier than ever, as doors are now crafted with lighter aluminum for easier removal, the windshield's hinge is now freed with four bolts instead of the previous 28, and the softtop is easily hinged back with the release of two levers. 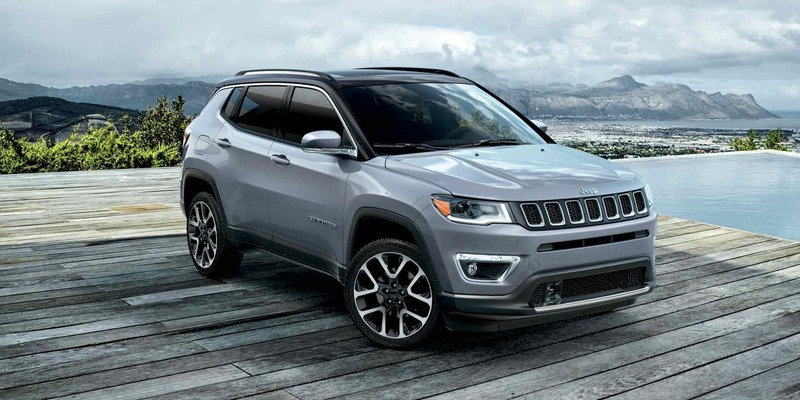 Select vehicles come with two hardtop options, or--with four door models only--Jeep's new Sky One-Touch powertop that can open at speeds of up to 60 mph with the push of a button. Lights have been upgraded to provide available LEDs in the new design. Inside, the body-colored dash design is sleek while still incorporating style cohesion with round vent ports. Nested in is the five-, seven-, or new 8.4-inch touchscreen Uconnect multimedia display that includes Bluetooth, Android and Apple wireless app syncing, voice commands, and available navigation. Built for rough rides and years of use, the Jeep Wrangler comes with durable premium water resistant cloth or leather-trim upholstery, drainable wash-out floors, and lockable in-floor storage containers to keep your gear out of the way and safe. 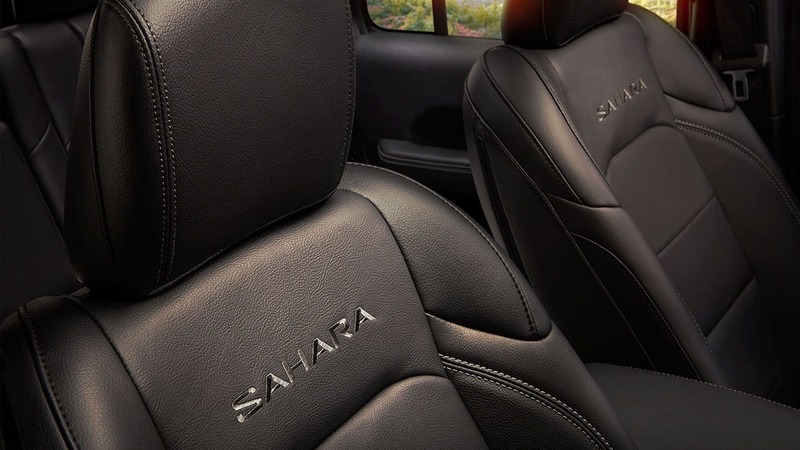 Available features include heated and ventilated seats, dual-zone automatic climate control, and even a WiFi hotspot to stay connected no matter where you are. Providing you with unbridled capabilities, well honed features and technology, and a confident sense of comfort and potential, the 2019 Wrangler is all set for the next adventure you're planning. Reach new heights and drive deeper into the mountains, woods, or dunes than you've ever gone before! Looking into the Jeep life for the first time? Michigan has a bunch of Jeep Clubs that can help you get started on adventuring our state's beautiful landscapes and trails.